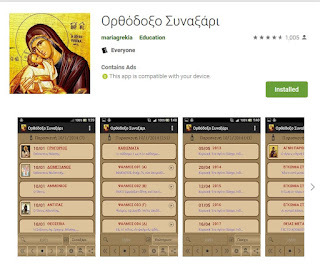 There are a lot of apps available today, but none has proved to be more helpful for the souls in our family that this one: ORTHODOX SYNAXARION (click the link to the left ) I somehow found it while searching GREEK APPS and it has become our custom to drive to school, or conclude our morning prayers by listening to the chanted troparions with icons of the Saints celebrated each day. The story of the Saint of the day is included, and words of the troparion as well. You can easily change the date, find extensive collection of prayers. There are even audio files of the PSALMS to play and texts from the Canons for many popular Saints. You simply download this app, and press play! It's that easy! 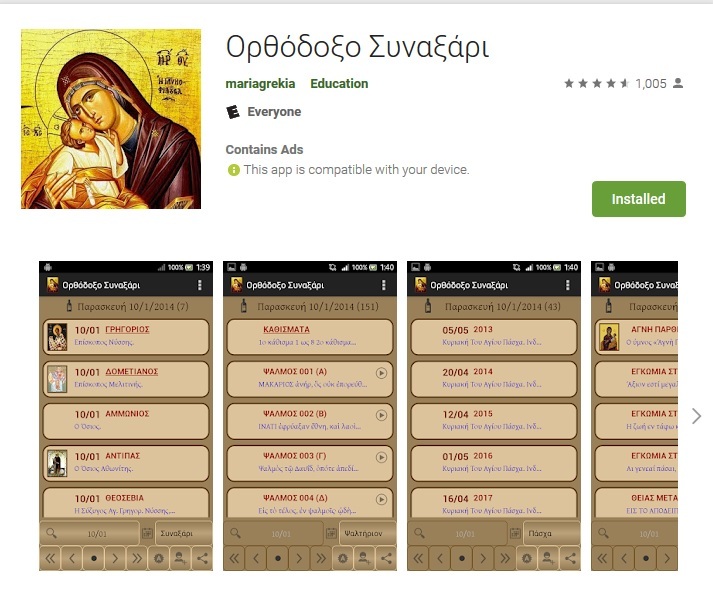 We have used this app to look up dates for feastdays, we also have played AGNE PARTHENE (the popular hymn by St Nektarios) that is an audio file to put our 4th child to sleep since he was born two years ago! It has been an invaluable resource to us !!! It doesn't matter which language you pray in because the actual soul doesn't have a language! One can be praying without understanding! The soul worships God without words! 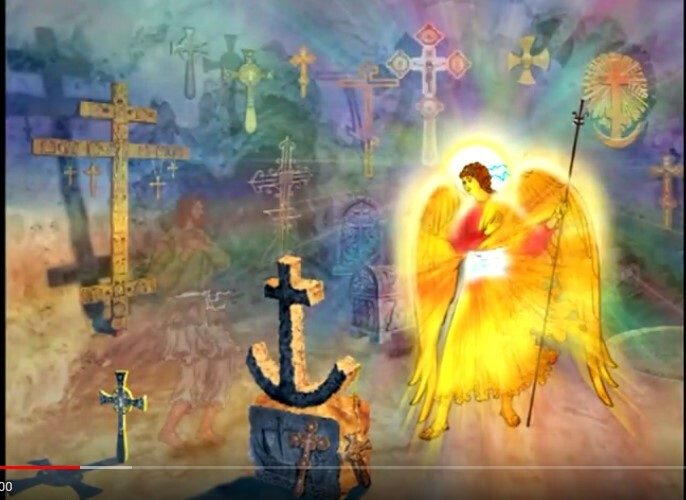 I pray that those who created it will be blessed abundantly! It's super easy...if you speak Greek. Uninstalled.